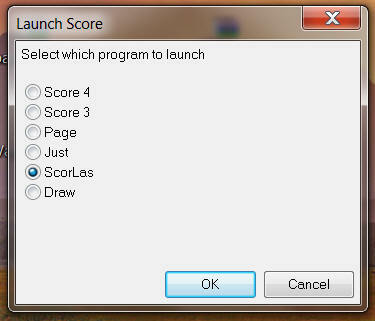 This macro launches the Scorlas program within ScorBox. 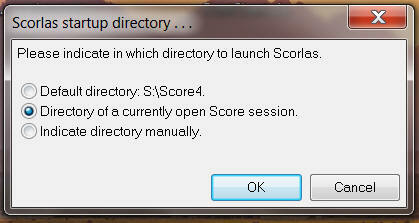 In “scorlas-location.txt,” indicate the full path to the location of your Scorlas.exe. To view a video illustrating the ScorBox launch pad and the launching of Score v. 4 executable, go to the “Start ScorBox module” page. The revision requires the installation of this revised Macro Express module, available on the “Required Macros” page, and the installation of the new support files “favorite-directories.txt” and “program-names.txt.” If you have previously downloaded and customized the other support files, you can leave those as they were. 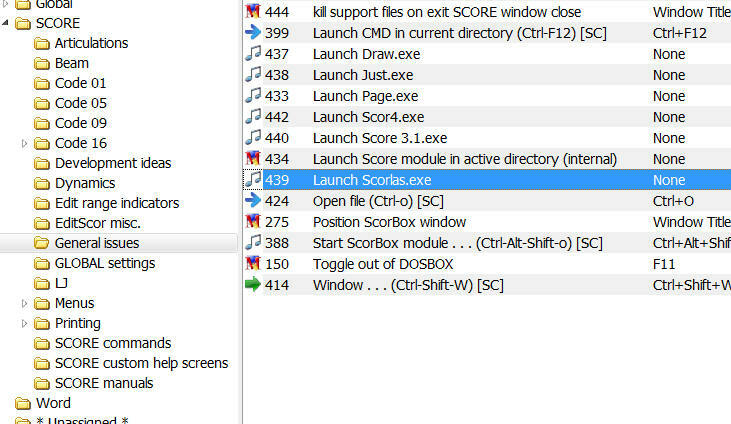 You will also need to download the new Macro Express module “Save current work session” (the download file is available on the “Required Macros” page), as that new module is required in order to create the “session files” that option 3 of the expanded startup menu, “Launch multiple sessions from a startup file” (see image above), depends on.